Next seminar is scheduled on April 9, 2019 at 10.15 a.m., during which dr hab. Andrzej Staszczak will give his talk entitled „Do nuclei take the doughnut shape?”. Next seminar is scheduled on March 26, 2019 at 10.15 a.m., during which mgr Łukasz Baran (Faculty of Chemistry, UMCS) will give his talk entitled „Symulacje komputerowe samoorganizacji wybranych cząsteczek na powierzchniach ciał stałych”. Next seminar is scheduled on March 12, 2019 at 10.15 a.m., during which Prof. dr hab. 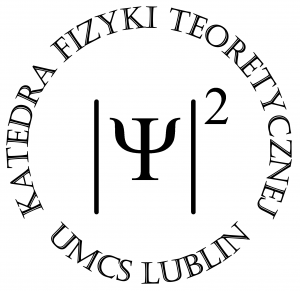 Maciej Maśka (University of Silesia in Katowice) will give his talk entitled „Machine learning methods in physics”. It is our pleasure to announce that the latest scientific discovery of pseudo-shocks in the solar atmosphere made by Prof. Krzysztof Murawski, Mr. Błażej Kuźma and Mr. Dariusz Wójcik from Theoretical Physics Division are presented in NASA web page. Next seminar is scheduled on January 29, 2019 at 10.15 a.m., during which Prof. Igor Kosacki (Honeywell, Houston Texas) will give his talk entitled „Nowe materiały i technologie dla energii”. Next seminar is scheduled on January 22, 2019 at 10.15 a.m., during which Prof. Krzysztof Rusek (Heavy Ion Laboratory, University of Warsaw) will give his talk entitled „ Badania reakcji jądrowych w ŚLCJ UW”. Next seminar is scheduled on December 18, 2018 at 10.15 a.m., during which Prof. Piotr Surówka (Max Planck Institute for the Physics of Complex Systems, Dresden) will give his talk entitled „Transport in semi-metals”. Next seminar is scheduled on November 27, 2018 at 10.15 a.m., during which Prof. Jerzy Żuk will give his talk entitled „Nagroda Nobla z fizyki 2018”.